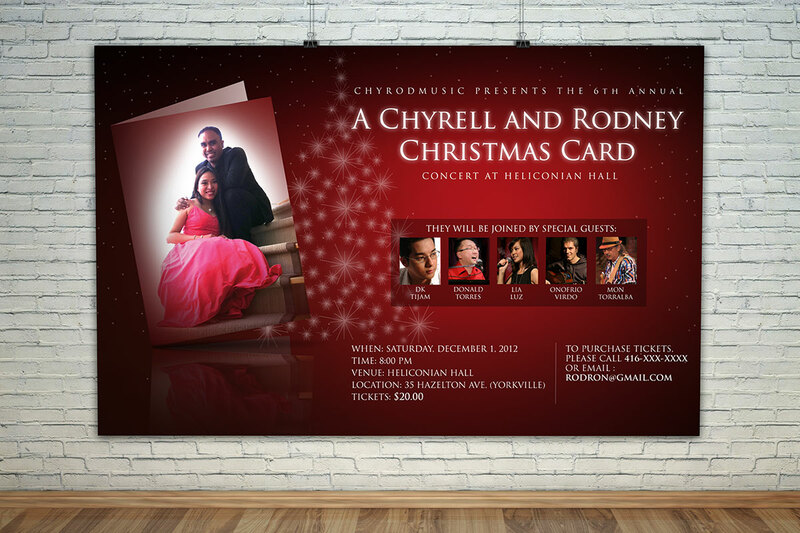 Each year, married couple and musicians Chyrell and Rodney Ronquillo would put together a Christmas concert to raise funds for various charities, ranging from Children’s Aid Society to Gawad Kalinga and Konnect Community. The concerts were held at Toronto’s Heliconian Hall in the Yorkville area. 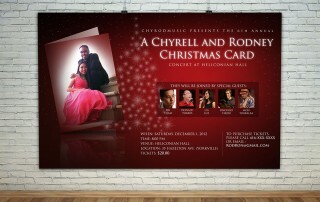 To give the concert poster design a somewhat enchanting yet festive feel, we decided to use a red coloured motif. 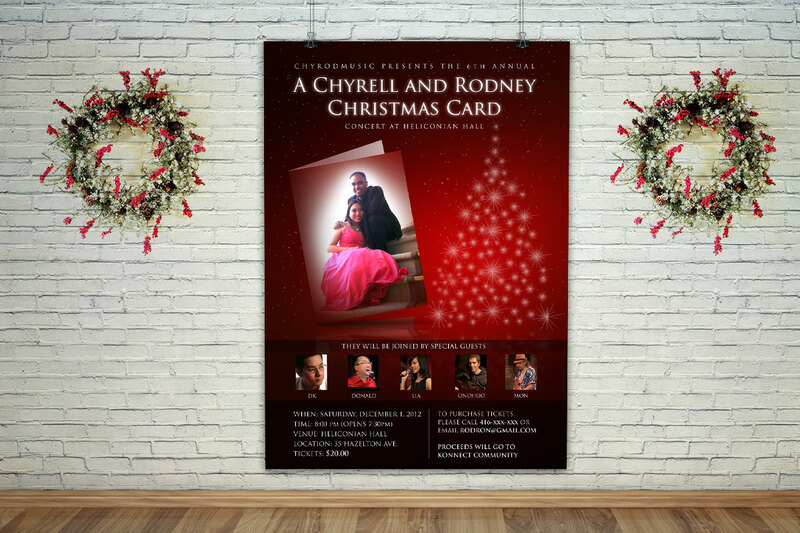 We also wanted to give it a magical feel, so we created a Christmas card that would stand on the tip of it’s fold, plus created a Christmas tree out of sparkling stars. Some of the design challenges were the number of guest performers and also the amount of content we could fit into the poster. 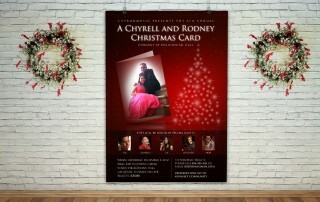 The result is a poster that conveyed the magic and intimacy of the Christmas season.